During the 1990s Witney Chess Club was without doubt the strongest club in Oxfordshire, running four teams in the Oxfordshire League and repeatedly fending off challenges from the powerful Oxford University, Oxford City and Cowley teams to secure a number of league and cup titles. By 2005 we were down to one team playing in the third division, with falling membership and usually no more than one or two people turning up on non-match nights. The club was on its way to extinction as general apathy took its toll. What has happened since those dark days is nothing less than the renaissance of the club, and shows what can be done if just a handful of committed and enthusiastic club members decide to turn round a club’s fortunes. We now have a thriving club again which last season saw its first team win Division 1 of the Oxfordshire League, its second team come third in Division 2 and its third team top Division 4. This season we have increased our number of teams in the Oxfordshire League to four, with the first team winning both the Division 1 title and the Frank Wood Shield (the Oxfordshire Chess Association’s knock-out competition) and our second team missing promotion to Division 1 by a hair’s breadth. We currently have 28 adult members and a small but thriving junior section of 8 boys and girls. So what are the things we have done to turn round the club’s fortunes in a relatively short space of time? • We ensure that there is always someone at the club to welcome potential new members. As most of us know to our cost, it is so often the case that when a potential new member turns up at a club he/she is often ignored by club members, who are usually too absorbed in their games to take an interest in newcomers. The potential new member hangs around for a while trying to catch someone’s eye, gets discouraged, drifts off and is not seen again. We make a conscious effort to avoid that happening. • We have started a junior section. Young players are the lifeblood of our great game, and without a constant stream of new players league chess will wither and die. The average age of club members across Oxfordshire seems to be steadily increasing, and we are determined to reverse that trend in our club at least. Youthful exuberance can mean high noise levels at times (to say the least! ), so we do our best to minimise disruption on match nights by using a separate room. On non-match nights, of course, everyone plays together in the main hall. The juniors are coached by our small band of CRB cleared members, and the juniors play in our fourth team (the “feeder” team for our top two teams). In the junior section’s first year we had four juniors in the county chess teams and several others as reserves, and six of our juniors got through to the British Land UK Chess Challenge gigafinals. This season our juniors joined forces with those from nearby Cumnor Chess Club to take part in the Junior 4NCL, fighting off strong competition from other junior teams to take first prize – a fantastic performance! • As well as encouraging junior chess in our own club, we work hard to encourage junior chess elsewhere in Oxfordshire. A number of us coach in local schools, and we also organise an annual junior rapidplay tournament in Witney which is open to all juniors in Oxfordshire (and beyond, if juniors wish to play). 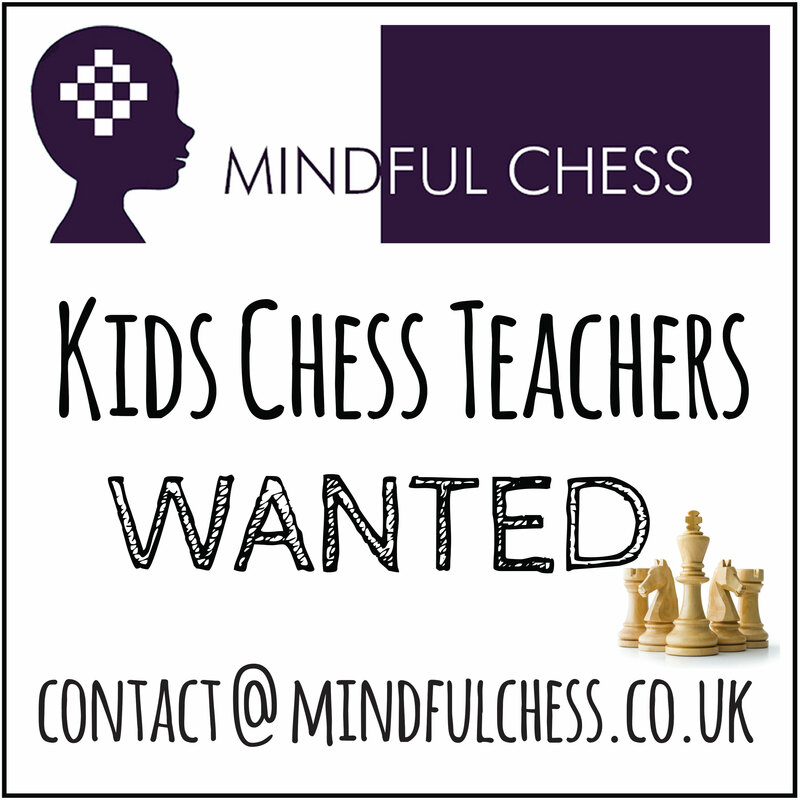 This is a valuable “outreach” activity which not only helps to develop junior chess across Oxfordshire but also publicises Witney Chess Club. • We contribute to wider chess affairs. 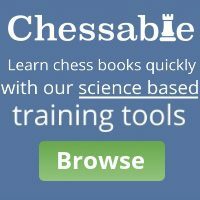 Two of our members are active in the Oxfordshire Chess Association as its chairman and ECF representative respectively, and have both recently played a prominent role in redrafting the Oxfordshire Chess Association’s rule book and in drafting a set of guidelines for captains on how to deal with the various contentious issues that can arise in local leagues. 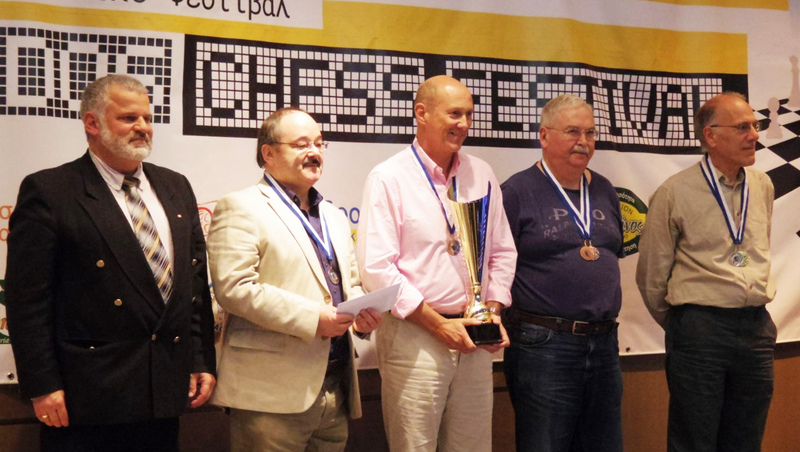 Our treasurer also plays a prominent role in the organisation of the 4NCL, serves as the Chairman of the ECF’s Finance Committee and was recently awarded the ECF President’s Award for Services to Chess. Our chairman has this season taken over the ‘on the ground’ running of the various Junior 4NCL weekends. Our secretary also runs a U3A Chess Group in the afternoon with sets and clocks from the club for people who have retired and retained an interest in chess but who may not want to turn out in the evenings; the group already has six members and specialises in fiercely competitive rapid play games. These are excellent ways of publicising the club to a wider audience as well as putting something back into chess on a wider platform. • We have moved premises. Our previous premises were typical of many chess clubs – one small, uninviting and overpriced room above a large hall which often had loud bands or dance groups below. After a consultation involving all club members we decided to relocate to the village hall in Ducklington, a village just outside Witney. The difference is enormous – the hall, recently refurbished to a high standard, is well lit and warm, we have use both of the main hall and another smaller room for juniors, and there is a kitchen available as well. The village hall provides a welcoming atmosphere for potential new club members as an environment that it’s actually a pleasure to play chess in! • We put a lot of effort into fundraising. As well as keeping subscription levels down and providing an excellent way for club members to get together on a social basis, this enables us to engage local grandmaster Peter Wells who both plays in our first team and provides an annual programme of simultaneous displays and lectures. This programme is open to players from all clubs across Oxfordshire – as with junior chess, we want to develop chess across the wider community, not just in our own chess club. Fundraising activities so far have included quiz nights (open to chess players and non-chess players), club dinners, the annual junior tournament mentioned earlier and commission deals with local suppliers for purchase made by club members. Some of our ideas have worked well, others have been less successful – but the important thing is to have a go! • We have overhauled our equipment. In particular, we have purchased a large number of digital clocks (to drag ourselves into the 21st century) as well as new match sets as part of our drive to provide facilities that we can be proud of. Our steadily increasing membership since the dark days of the early 2000s we believe supports this. 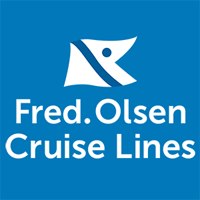 • We have redeveloped our website. Although we have the skills within the club, those who have the skills have only limited time available. We therefore took the (fairly innovative?) 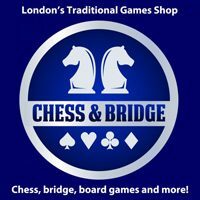 decision to use our wider contacts to approach Steve Connor, webmaster for the 4NCL, the London Chess Classic and other prestigious websites, to redevelop and maintain our website. The difference was immediate. There has been an upsurge in interest from club members in contributing to the new website, and it now provides an excellent public face for the club. Such is the quality of the website that we were honoured to receive the English Chess Federation’s annual website of the Year award in 2011. The link to the website is here: http://www.witneychess.co.uk/. • We have a somewhat different approach to non-match nights from many clubs. Rather than run formal internal tournaments and championships (which take a lot of time to organise and aren’t always successful anyway as people’s enthusiasm levels wax and wane) we concentrate on activities such as simultaneous displays and coaching from the stronger players, impromptu speed chess tournaments and on getting juniors and adults playing together on a social basis. We have also recently set up a ladder competition, which runs mainly over the summer months and which encourages the juniors in particular to play reasonably serious chess on a timed basis both against their own age group and against adults. Members of the ladder also choose their own nicknames, which in some cases seem to be more inventive and creative than the games themselves! We believe that the Oxfordshire League provides enough competitive chess for most of our players without the need for competitive internal chess, but we do keep this under regular review to make sure we are providing what the club members want. • Next season we hope to introduce a new weekend league (along the lines of the Woodhouse Cup in Yorkshire, but FIDE rated) to be played on Saturdays or Sundays and open to all clubs in (and beyond) Oxfordshire. Like the 4NCL, it will have relatively relaxed eligibility rules, but will be played at central venues with ‘sensible’ time limits to provide chess for people who are too tired to play proper chess in the evening during the week or who struggle with the long distances sometimes involved in getting to county matches. – What I like best about Witney chess club are the simultaneous displays and coaching by Mike Truran, Mark Hannon and Dave Hackett, the strong junior club (it gives a really good atmosphere) and the presence of a grandmaster (it adds to the whole atmosphere for weaker players like me). – Witney is a great club for all ages and abilities. The atmosphere is all about having a go and trying to improve, but never being too precious for a joke. The club has gone from strength to strength because people are keen to join and keep coming back. As a middling third team player it’s great to see the juniors coming through and soon to overtake us! – For me, one of the key things about any small club is its ability to attract – and keep – new members, particularly after a long absence from playing chess. In my case, I had given up chess in 1996, after about ten years of fairly soulless battering in local league matches. I found that the game had lost its appeal, particularly after a long day’s work, and there was no real social aspect to my club, nor any opportunity to learn and improve. Fast forward thirteen years, and in 2009 I casually decided to look around at clubs in my area. Witney club had a small website with a ‘contact us’ facility. To my surprise, I received almost immediately a friendly response to my email, inviting me along to a club night. There were about a dozen players when I arrived, with the standard ranging from “whoops I didn’t realise I was in check” and “I think your knight is on the floor” to those who knew their opening theory 30 moves deep. With a refreshing absence of pressure and (given that we are, after all, chess players :-)) some decent communications skills and even dress sense, this small club made me feel welcome, to the point where I am now enjoying my chess again. Apart from when I blunder, of course! In the last fifteen months, the club has continued to attract sufficient new members to now operate four teams in the Oxfordshire league, with a team in each division – so players of all standards are catered for. I gather that only a few years ago we almost folded due to lack of members. We’re also now a very diverse club – we have a Grandmaster (grade 230+) playing Board 1 of the 1sts (and he doesn’t always win…) right down to keen juniors (grade c.35) on the bottom boards of the 3rds, along with every standard in between. We have male and female, old and young, local players and those who have joined us from overseas. The juniors certainly enjoy their early evening learning sessions (“Ha ha! You missed it!”) with more experienced players. And once they are shepherded away by their parents (chess club membership is much cheaper than babysitting, by the way) the older players get their chance to exchange friendly banter too. All in all, I’d put forward Witney forward as a model small club that doesn’t take itself too seriously and is very well run by a handful of hard working individuals behind the scenes in order to cater for all tastes. If by any chance we were to win, we would however need assistance with how to reset the digital clock, as this is something 99% of our membership struggles with! Perhaps some new members could come along and show us?! – My friends and I are four middle-aged men who hadn’t played since school! Witney Chess Club immediately nurtured us back to social and competitive chess, with its jovial banter and ‘buzz’. The chess is pretty serious, whatever the level, but the top players are really helpful. Everybody gets a game and everybody has a laugh. Like golf and tennis clubs, even the rubbish players (like me) are encouraged to play great shots among the general mediocrity. – What I look for in my ideal chess club are an ambitious first team and a pro-junior policy. Looking to both the present and the future is the path for growth. In my forty year career I have been a member of sixteen chess clubs and visited numerous others. Witney is the closest I have found to my ideal. Other clubs I have played for have had strong league teams, but juniors were scarce on the ground. My current club in Swindon integrates juniors, but its first team is in decline. At Witney I have seen several juniors still engrossed in play at 8.50 pm when I would have expected departure or wavering attention spans. I have been made to feel welcome by Witney’s second and third team players, who have shown consideration for my disability and a keen interest in my games. Acceptance by the first team was immediate. Indeed on my first night I was teased about the heavy weather I had made in converting my advantage. Such banter is the norm at Witney, where it has helped build an exceptional team spirit. When you add that the main playing hall is airy with bright lighting, large tables and comfortable chairs for playing, I can understand why one of my fellow team members has been prepared to drive the seventy mile round trip (now eighty with me!) for twenty or so years. I can envisage myself keeping him company until my failing sight no longer permits. – When I retired to Witney in 2004 the chess club was struggling to run two teams, and indeed at one stage it only ran one team. We had only two youngsters playing for us. Now we run four teams. Every club night we have several keen youngsters for whom we try to arrange friendly games. A wonderful success story! – It’s great fun to be a junior at Witney chess club; there’s something special about it. Occasionally you get to play in matches and that’s really cool. You just sit there looking at the chess board thinking, and it’s all very tense. However, when you don’t play in matches it is also fun because you can do puzzles and play other juniors. There is a big range of quality in the junior section and it is very interesting to play lots of different people with different styles. There is also a great range of different levels; there are beginners right up to county level players. – Witney Chess Club is an outstanding small chess club, fostering links with the local community at several levels. The many positive aspects of this club include a friendly atmosphere in a modern and comfortable venue at Ducklington Village Hall and able organisation by stalwarts of the club such as Messrs Truran, Kennedy, Partridge and the team captains. There is an extremely wide range of chess interests and skills represented by the club’s three dozen or so members, from young beginners (boys and even a few girls as well) up to Grandmaster level! Local schools have been approached, with schoolchildren encouraged to participate at the popular junior club evenings, which are well supervised and coached. Club team members participate in various county and inter-county tournaments (e.g. the Kidlington Congress, the Cotswold Chess congress, the 4NCL and J4NCL), and the club is twinned with Unterhaching SC near Munich. At the time of writing, we are doing well in each of the four Oxfordshire League divisions in which it has entered a team including the top division, surely a record for a small club! – As a junior I am able to practise with all grades of players from 60 to 200. It’s a fantastic place to begin playing chess and I’ve learnt a lot while I’ve been there – and I’m still learning fast! – When I joined Witney in 2005 it was a very small club with one team, just about surviving with two or three people turning up a week. In the 7½ years I’ve been with the club its fortunes have turned round thanks to a lot of hard work from the committee. This season we are running four teams, up from three last season. The club now runs a junior section, a junior tournament and social events throughout the calendar year promoting chess in the local area. The club is now vibrant with many players, including the best, turning up for club nights and is an example of a fun, sociable and happy club. This rather touching, if melancholy Simon and Garfunkel song about old friends and ageing was resonating in my mind as I was driving back home to Worcester on Saturday evening. Paradoxically perhaps, I had spent the day watching a collection of worryingly good juniors playing in the Witney Rapidplay, which I was attending in order to present the prizes, along with the ECF Website of the Year Award for the splendid Witney Chess Club site. Days like this help to recharge the batteries of this occasionally weary soul, preventing me from drowning in the murky waters of the ECF’s funding debate and other important but not always uplifting matters. They’re a reminder of what a joy the game of chess is and of the decency of the vast majority of people involved with it. There have been days over the last couple of months when my work for the Federation has left me feeling anything but joyful, so the reminder was both timely and very welcome. Everyone I spoke with was unfailingly friendly, and the conversations touched on everything from junior development programmes (Witney Chess Club’s is self-evidently a tremendous success, built upon a determined effort to reach out to local schools and provide a supportive and encouraging environment) to daytime chess clubs for older people and the age-old question, “How do we attract and retain more female players?” (to which I wish I had a good answer). One doesn’t expect to solve the problems of English chess through chats like these, but it all helps. I did learn a useful tip for those looking for a best-selling snack treat: chocolate frogs. Helen Hackett, of Hackett’s Bistro and Coffee Bar, who was providing the abundant catering for the event, could hardly restock the supply fast enough. Junior event organisers, take note!